On the third Monday of every February, we celebrate Presidents' Day. This year, Presidents' Day will be celebrated on Monday, February 17th. 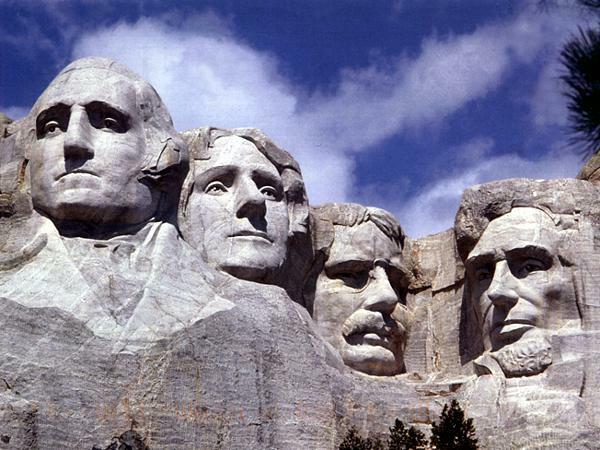 This day, which was originally celebrated on George Washington's birthday, honors our presidents, past and present. Because both George Washington and Abraham Lincoln had profound and lasting impacts on United States history, and both were born in February, we focus on honoring these particular presidents on this day. George Washington was the first President of the United States of America. He served as President from April 30, 1789 until March 4, 1797. George Washington was born to a wealthy Virginia family on February 22, 1732. When Washington was born, the United States was not an independent nation, and Virginia was a colony of Britain. Washington began his military career as a young man, when he joined the Virginia militia and fought for Britain in the Seven Years' War, where he led several campaigns. He then returned to his home, and was elected to Virginia's House of Burgesses. In order to pay for this war, the British taxed the colonists. The Colonists felt that Britain was exploiting them for its own benefit, and they revolted by throwing tea into the Boston Harbor. This event is called the Boston Tea Party. In 1775, Washington was elected to the First Continental Congress. One month later, the Revolutionary War began, which aimed to make the colonies independent from the British. Washington won his first battle against the British in Boston and continued to lead troops through a series of difficult and bloody battles. In 1776, the Colonists declared their independence from the British, and the British were finally defeated in 1781, surrendering at Yorktown. George Washington agreed to serve as President of the United States in order to unify the new country. He is the only President in U.S. history to be unanimously elected to the office. Washington refused a third Presidential term, saying in his farewell speech that a longer rule would give one man too much power, which would conflict with the spirit of a true democracy. Abraham Lincoln, the 16th President of the United States, is remembered as the one of the greatest presidents in U.S. History. Born in 1809 in a log cabin in rural Kentucky, Lincoln had a difficult childhood and lost his mother at a young age. Despite his parents being illiterate, Lincoln learned to read and educated himself. He taught himself law and passed the bar exam. He began his involvement in politics in 1834 when he was elected to the Illinois state legislature. He then served a term in the U.S. House of Representatives and temporarily left politics to return to practicing law. Lincoln returned to politics when the Kansas-Nebraska act, which allowed states to choose whether or not to legalize slavery, was passed. Based on his belief that slavery was morally wrong, Lincoln was motivated to join the Republican Party. In 1860, he was elected President, and created a strong and ideologically diverse cabinet. Before his inauguration in March of 1861, seven southern states had "seceded from the Union", meaning that they left the United States and declared themselves a separate nation. Lincoln did not accept this secession and made it his mission to preserve the Union. When Confederate forces fired upon Fort Sumter, in South Carolina, the Civil War began. In 1863, President Lincoln issued the Emancipation Proclamation, proclaiming freedom for slaves in the ten states still in rebellion at the time, and paving the way for slavery's eventual abolition. In the following year, Lincoln delivered the Gettysburg Address, which explained the Civil War's purpose, and became the most famous speech of Lincoln's presidency. Following this speech, Lincoln was elected for a second term as President. The Civil War lasted four years and eventually ended with the surrender of Confederate General Robert E. Lee in Appomattox to Union General Ulysses S. Grant in 1865. Shortly after this victory, however, Abraham Lincoln was assassinated by John Wilkes Booth, a Confederate sympathizer. Because Presidents' Day is a federal holiday, children will not have school and parents may have the day off work! Talk to your host family as to how you plan to spend this holiday – it may be a great time to spend some quality time as a family, or perhaps to take off and explore on your own! It might also be a good opportunity to learn more about the current U.S. president, Barack Obama, and to speak with your host family about your country's presidents – past and present!